Whether you are trying to spread your passion for the outdoors to the whole family or planning a base-camp stop before conquering a peak with friends, a reliable and lightweight tent is essential. We know that choosing the best 4-person backpacking tent among hundreds of different products is no easy task. 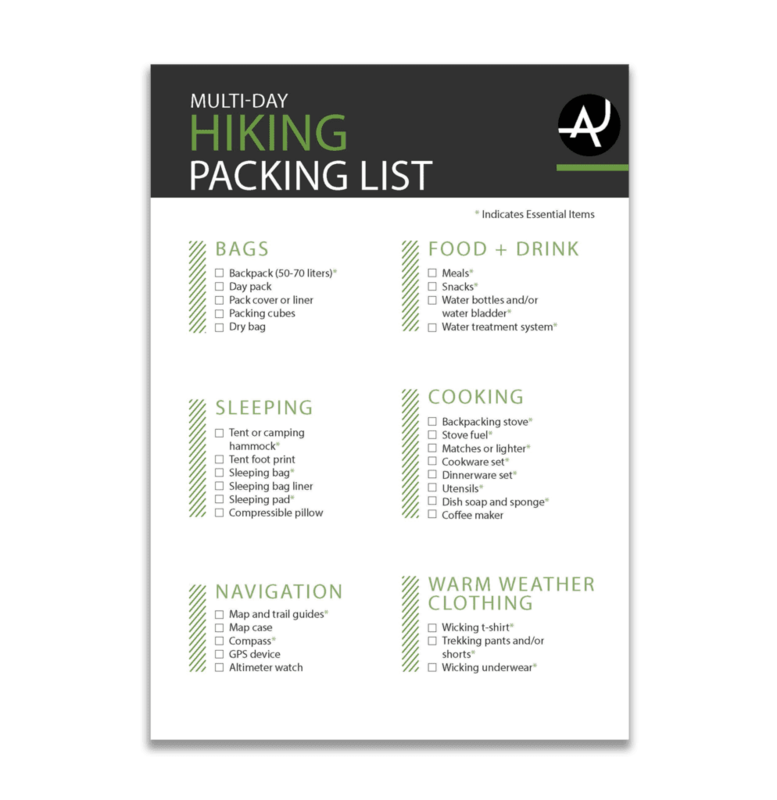 While basic gear may be sufficient for shorter hikes in good weather conditions, the success of an extended multi-day trek will depend largely on the quality of your equipment. Tents come in all shapes and sizes, from simple shelters with a single door entry to more sophisticated architectures with integrated LED technology to light up the whole tent. To make your search easier, we narrowed down the selection to the five best 4-person backpacking tents on the market, taking into account weight, durability, and price, so you can focus on planning your next backcountry adventure. With a great set of additional features, the Marmot Tungsten tent does much more than keeping you dry at night. It offers ample moving space thanks to the pre-bent angular poles that create vertical walls. 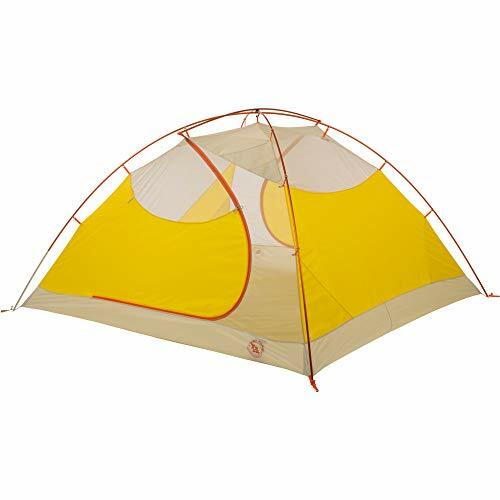 The tent is also extremely straightforward to mount with the color-coded aluminum poles guiding you in the process. Built with the backpacker in mind, the Tungsten 4P remains budget-friendly while not sacrificing quality. The Tungsten 4P is equipped with two large vestibules, useful to store boots, backpacks and wet clothes, plus a number of easily accessible pockets inside to keep maps, valuables, and torch-lights from getting lost when the sun goes down. This tent is as easy to dismantle as it is to set up. 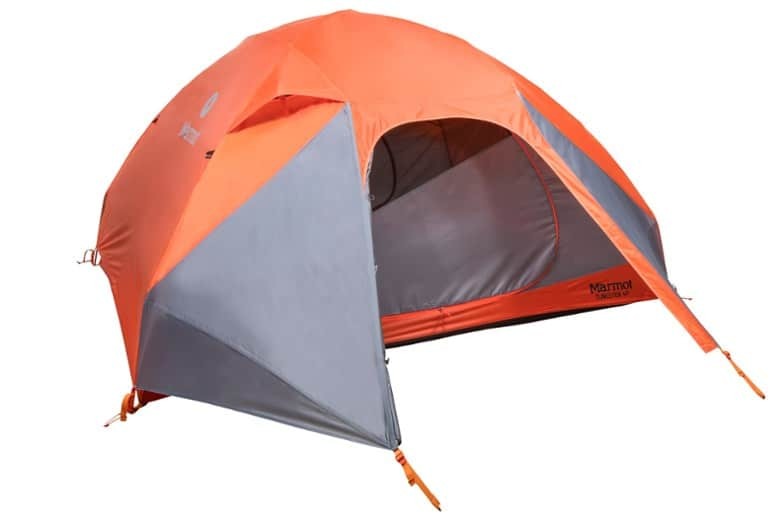 Although the Marmot Tungsten is not the lightest 4-person backpacking tent on the market, the weight is still manageable. The solid fabric side allows for extra privacy on shared campgrounds, making this tent ideal for the adventurous family. You can leave your headlamp at home with the Big Agnes Tumble mtnGLO, an award-winning tent with built-in LED lights that allow you to see and be seen. With two doors and spacious vestibules, this cozy tent provides comfort without adding extra weight to your hiking backpack. It is complete with 8 interior mesh pockets, 2 media pockets, and 8 lightweight aluminum hook stakes that help to keep things in order. Plus, it features a pre-bent pole architecture that adds extra space where it’s needed most. The LED light system works with a push button with three different settings – on, off and 50% brightness – useful for reading or finding your way to the zippers. 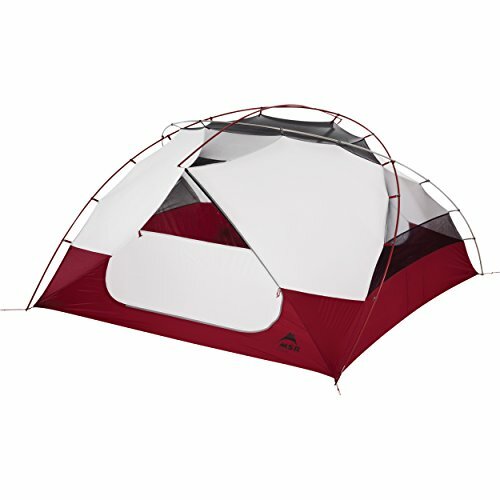 The free-standing structure makes mounting and dismantling a breeze, maximizing valuable hiking time. 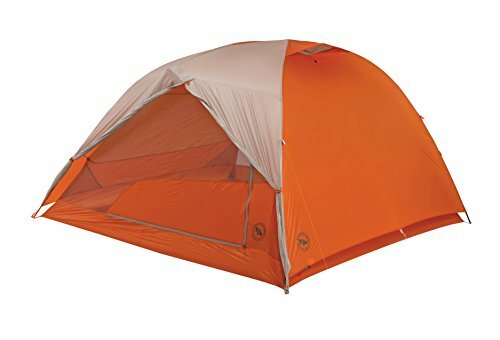 When it comes to 4-person backpacking tents, The Big Agnes Copper Spur is a safe bet. 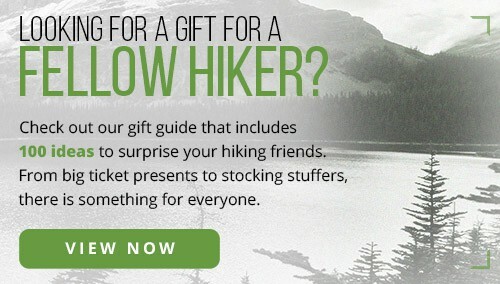 Designed with a reinforced rip-stop nylon fabric, this piece of equipment will support you in almost any climate, making any backcountry expedition a stress-free experience. With double doors, sturdy zippers, and storm flaps, harsh weather conditions will no longer be an obstacle. And the large ceiling pocket and easy grip zipper pulls will make getting out of your comfort zone… well, a little more comfortable. The Copper Spur is a high-end backpacking tent, ideal for longer journeys into the wilderness because of its minimal weight. If you are seeking an ultralight, reliable shelter to bring on your next multi-day trekking adventure in the mountains, this is an investment worth considering. Keep in mind that the footprint is sold separately and will add a bit of weight. 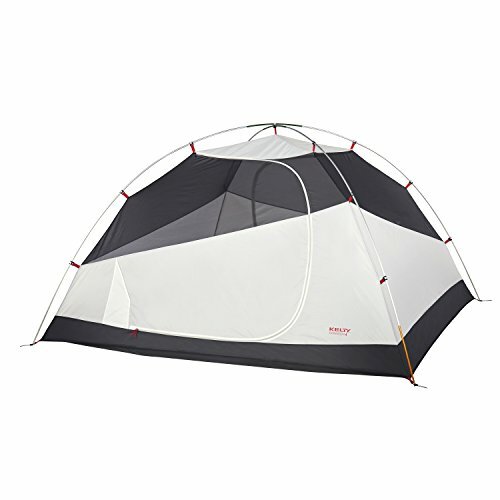 An all-around shelter complete with footprint, the Kelty Gunnison is an excellent tent for the budget-wise backpacker. This versatile product is suitable for low-altitude mountain hiking, but also for less strenuous festival-going and car camping, thanks to its super simple pole design and easy to set up structure. Packing the tent is even simpler: the roll-top cube carry bag lets you roll up the tent and get ready for walking in a matter of minutes. Shaped like a classic dome with compact folding poles, the Kelty Gunnison weighs slightly less than other much pricier 3-season tents, an attractive feature for those who are looking for something durable, but not willing to splurge on an ultralight tent. The MSRElixir 4 is a tent optimized to give maximum head room to all the people sharing the space, yet adds minimum weight to your back once packed. Featuring two large StayDry doors that provide easy access and large vestibules to store your gear, this tent makes for a cozy movable home, perfect for backcountry explorations under any weather condition. The breathable mesh fabric combined with the solid nylon panels of the canopy allow for maximum privacy while keeping the space ventilated. A removable nylon rainfly adds an extra layer of warmth and offers protection from rain and heavy winds. This tent may be great for a family of four with children, but four adults may feel a bit tight sleeping in it. The first thing to keep in mind when selecting a 4-person backpacking tent is the type of hike you intend to use it on. 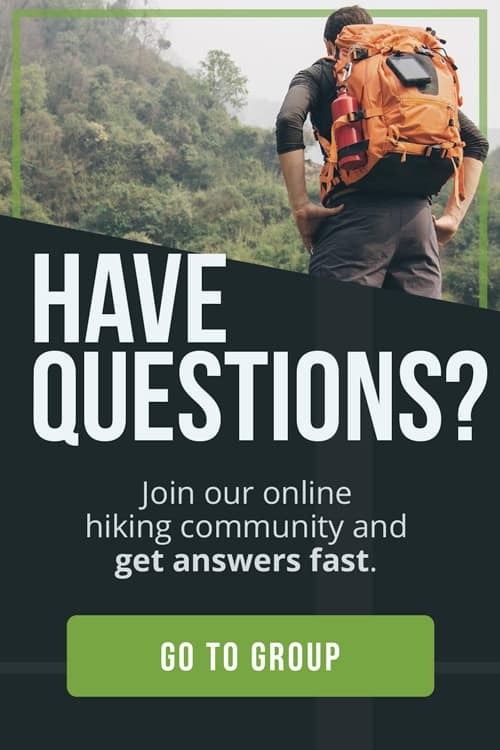 While 7 lbs may not seem like much additional weight in your backpack, when you combine that weight with heavy clothing or the supplies necessary for an extended backpacking trip, those extra 7 pounds will have a substantial impact on your shoulders. If you are planning to set out for multi-day treks and you don’t want to carry a huge amount of weight, you might want to consider investing in an ultra-lightweight tent. Most tents follow a scoring system that determines what seasons they are most suitable for. Tents meant to withstand harsher weather conditions are usually equipped with sturdier poles and thicker fabric that will keep you warm during winter months. 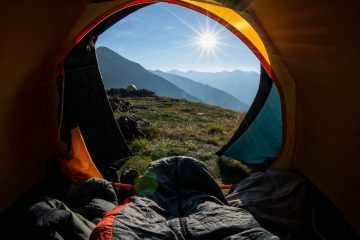 Light backpacking tents tend to have a score of 3, meaning that they are built to be used in 3 seasons (spring, summer and fall). These types of tents are weather sealed and strong enough to protect you during the occasional storm, but if you are looking for a shelter that will last and keep you dry under heavy snowfall or rough winds you should opt for a 4-season, heavy-duty tent. When buying a tent, make sure to check whether the footprint is included or if it is sold separately, as this might impact your budget. A footprint is a sheet of fabric that is used under the floor of the mounted tent to avoid wear over time. While you can camp without a footprint, it is a good idea to use one if you often place your tent on rough surfaces such as sand or rock to prevent damage to the floor of your tent. 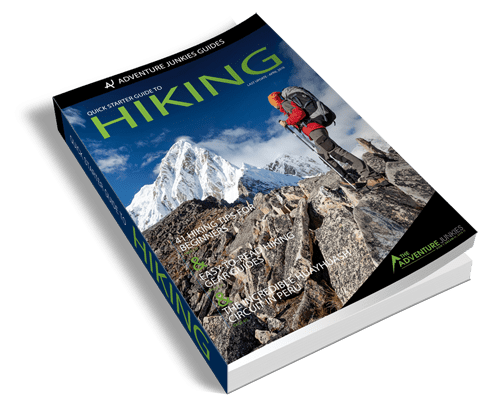 If you are hiking with a 4-person backpacking tent, it is likely that you will need a place to store four backpacks, four pairs of boots, and any additional gear your friends or family decide to bring along. The vestibules are the layers of fabric that extend outside the doors, creating a separate space useful for storage. 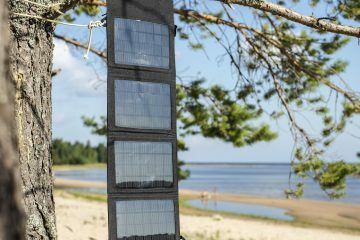 While many tents feature easily accessible wall or ceiling pockets that are handy to keep maps, books, electronics or headlamps, you may not be able to fit everything inside. Although the vestibules add extra space, they can also add extra weight when they are quite large, so make sure to find the right compromise of weight vs. space for you. All tents present in this list have two doors, but you may find tents that only open on one side. 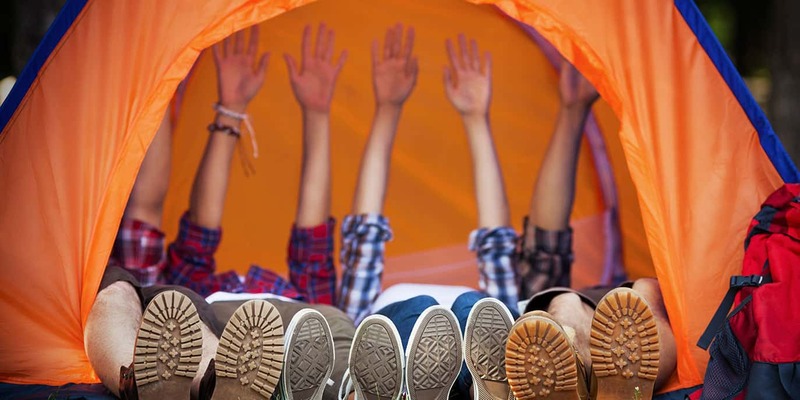 Single-door tents are usually lighter in weight; however, they may not be the ideal solution when there are four people sleeping on the floor and one needs to exit for a bathroom break. If you are not camping alone, choose a two-door tent to avoid having to climb over someone every time you need to go outside. The speed of setting up and dismantling a tent will largely depend on experience. However, there are models built to make the process smoother, allowing you to start cooking earlier in the evening or begin hiking shortly after you wake up in the morning. Color-coded and pre-bent poles will help you erect your tent faster, while compact folding poles make the packing a no-brainer. 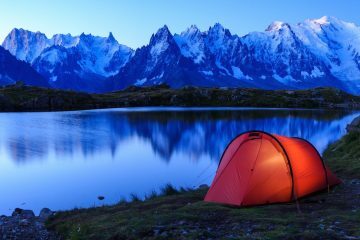 Many backpacking tents are promoted as “freestanding,” meaning that after the poles are mounted the tent will stand on it own. Keep in mind that the term “freestanding” is a bit misleading, as in most cases you will still need stakes to secure it to the ground. Freestanding tents are faster to set up than traditional tents that rely on guylines (the ropes used to stabilize the structure), so if you’re looking for quick and easy assembly, go with a freestanding tent. The price of tents can vary widely, with festival tents costing under $100 and top of the line, technical tents nearing $1,000. As for most sports gear, you get what you pay for, but what you pay for might not be what you need. The occasional camper will be perfectly fine with a lower-end tent, while the adrenaline-fueled adventurer will look for the best of the best. When it comes to tents, a big jump in terms of cost is usually due to the weight. Ultra-lightweight tents are always much pricier than those using standard heavier materials, but if you plan to hike for long distances, then an ultra-lightweight tent could be worth the investment. The weight of the tent at the moment of purchase, including packaging, replacement items and repair kits. The weight of the tent itself, including poles and rainfly. The outer layer of the tent covering the mesh and protecting the tent and its occupants from the rain. The breathable fabric of the inner layer of the tent, protecting it from insects and dust. A tent that is supported only by its poles and does not rely on guylines to stand. The ropes affixed to the ground through stakes that help stabilize the tent. The area outside the tent door covered by the rainfly, usually used to store gear. The separate layer of fabric usually placed under the tent to avoid wear. Metal or plastic hooks that you drive into the ground to hold guylines or tent material in place. Angelo Zinna is a freelance writer based in Amsterdam, Netherlands. After living and traveling across three continents for the past decade, he has developed a focus on long-distance overland journeys, straight pictures, Central Asian countries, and pizza.